The darkness set in around 7:45 last night – the Fall is relentless in its approach this time of year. Rather than lament the summer now gone, it is time to start thinking about bonfires, pumpkin beer, and flannels (I’m in the Seattle area, after all). The perfect complement to those mandatory Autumnal delights is music that revels in the spirit of the season. Some of my fondest memories involve sitting around a fire, listening to friends play songs by The Smiths, Bob Dylan, Neil Young, and whatever other tunes are easy to sing along to. Each Fall brings some variation of this bit of nostalgic story telling, but what can I say? A good time was had by all. Records that evoke those feelings can be hard to come by – if an artist tries too hard, it can sound a little too earnest. Off the cuff recordings bring the opposite problem – it can sound a little ragged. 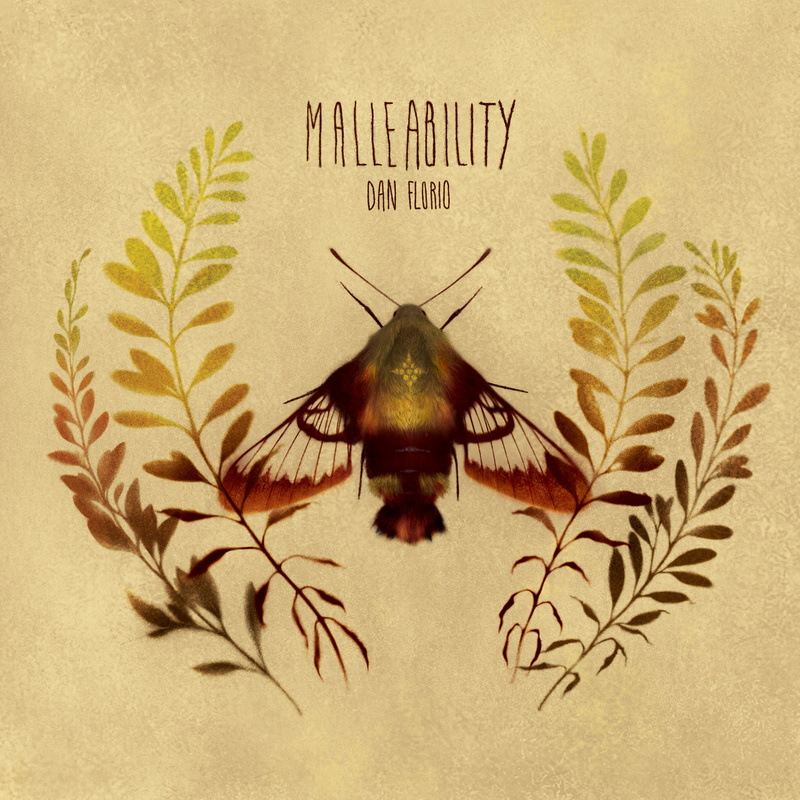 Malleability is the new record from Connecticut based indie artist Dan Florio, and it delivers a strong set of tunes in an Autumnal spirit. Last year’s Big Thoughts in a Small Place EP was an unexpected delight – folk based tunes that felt familiar yet new. It was one of the records that I had on repeat throughout the fall and winter last year. The new record retains some of the atmosphere from that EP while adding in a more fleshed out sound on some of the tracks. Think Van Morrison during his Astral Weeks phase and you’ll have a general idea of the elements Dan Florio is adding to his compositions – jazzy, folky, with a few spare acoustic tunes scattered throughout. It goes without saying that Malleability is the best offering to date from Mr. Florio. The surprising element for me, was that it is better than the last record in ways that I hadn’t thought about – the music takes turn down previously unexplored passages. A winning record in every way, it’ll make a worth addition to your collection. You can buy the record via Bandcamp – it is a pay what you want deal – and follow Dan’s musical happenings via Facebook. This is a sophomore record that outshines the debut and is perfect for listening to with friends. Highly recommended.